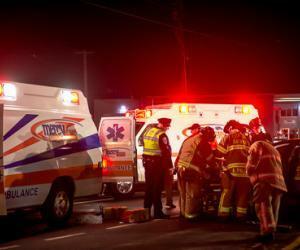 Mercy EMS provides around the clock care…with around the corner response. Our division headquarters is located in Batavia, NY with operations serving all of Genesee County, Village of Springville, Town of Concord, Niagara County and surrounding areas. Mercy EMS responds to over 6,000 requests of service each year providing compassionate, professional care to the communities we serve. Mercy EMS is overseen by an Operations Manager who works hard to ensure that all the moving parts occur efficiently. 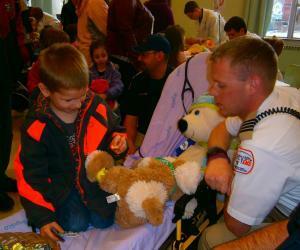 The day to day operations are handled by a Paramedic Crew Chief as an extension of management. 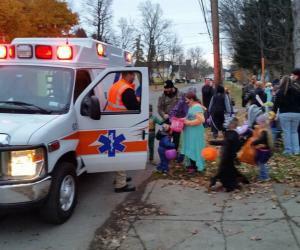 In addition to the administrative responsibilities, the Crew Chief’s roles include overall operational support and awareness of the system, providing EMS Liaison to the local Incident Commanders on scenes, and serving as a Paramedic intercept to assist BLS ambulances as needed or to assist other BLS response agencies within the areas we serve. As the primary Advanced Life Support provider in our response areas, we offer professional and compassionate care from the rural roads and county highways to the urban Towns and Villages. As a secondary support to our partners in care, we operate Basic Life Support ambulances that assist during peak hours of the day when call volume is elevated. We also provide mutual aid services as requested to the counties of: Cattaraugus, Chautauqua, Erie, Livingston, Monroe, Niagara, Orleans and Wyoming. 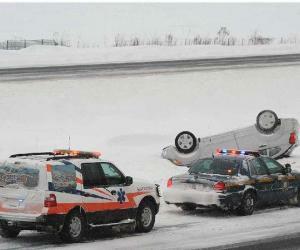 When you need an ambulance, minutes matter. 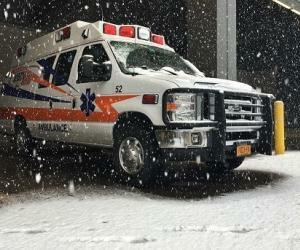 Our ambulances are directly linked and radio dispatched by the local 9-1-1 emergency dispatch centers. The trained Emergency Medical Dispatcher will ask questions according to nationally recognized standards; then depending on the acuity of the illness or injury determines which resources are sent. From hospital discharges to complicated critical care patients, we are the trusted provider for United Memorial Medical Center in Batavia, NY and Bertrand Chafee Hospital in Springville, NY. 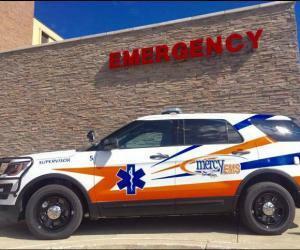 No matter the acuity of patient, Mercy EMS provides a solution to meet the needs in delivering the highest level of care. GEMT/AEMT level crew that can provide patient supervision and limited medical interventions such as oxygen or specialized positioning of orthopedic devices. Paramedic level crew members capable of providing an “emergency room” like atmosphere to include cardiac monitoring and medicated IV fluids. Paramedics and RNs equipped to provide a mobile intensive care unit between facilities including: intubated patients on a ventilator, CPAP or BiPAP, medications on IV pumps, vasoactive drips, arterial lines, IABP and ECMO devices, LVAD/RVAD devices and external pacing devices. Specially modified ambulance equipped with a Stryker power load and stretcher system able to accommodate patients who weigh 300 to 650 pounds. Our Communications Specialists in the Mercy Flight Communication Center are available 24 hours a day to assist you in determining the most appropriate level of transportation for each patient. 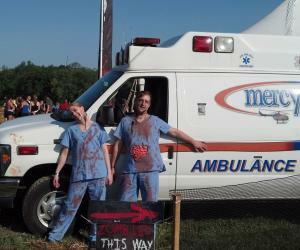 Whether it’s providing an urgent care like medical station and transport services for Live Nation at Darien Lake Theme Park, ambulance stand by services to Batavia Downs Racing and Gaming, or medical support for Area 51 Motocross, Mercy EMS is able to handle your needs for any event. Please contact our Communications Center at 1-888-637-2935 to request a price quote, schedule Special Event/ Stand-by services; or you may submit a Mercy EMS Special Event Request Form and a member of our team will reach out to you. Dedicated services are assessed a monetary fee to provide service. Dedicated services guarantee that our staff and personnel will be on site to assist with any medical issues that arise. In the possibility more resources are required due to unforeseen circumstances, we will work with you to assure that your needs are met and accommodate additional appropriate resources as available. Non-dedicated services are available pending availability of resources. There is no guarantee we will be available to participate in the event or provide service. Availability is determined based on call volume and operational need before participating in non-dedicated events. It is expected that the resources available may have to depart if needed for standard operations. Any scheduled or advertised event open to the public and likely to attract 5,000 or more people at any one time in a single day REQUIRES dedicated medical personnel based on total number of attendees. Refer to NYSDOH Sanitary Code Part 18 for specific details.